Starting this weekend, the San Francisco Municipal Transportation Agency will close the Twin Peaks Tunnel early on Friday and Saturday nights to prepare for an extended summer shutdown that will allow the agency to make extensive repairs to the 100-year-old structure. The West Portal and Forest Hill stations will close at 9pm on Friday and 11pm on Saturday for up to 15 weeks, reopening the following morning for regularly scheduled weekend service. In place of K, L and M light-rail vehicles, Muni will run shuttle buses between Embarcadero and each line's terminus every 20 minutes until 1am, when buses run every 30 minutes. Although Castro Station will remain open, outbound trains will turn around during scheduled work periods and head back downtown. 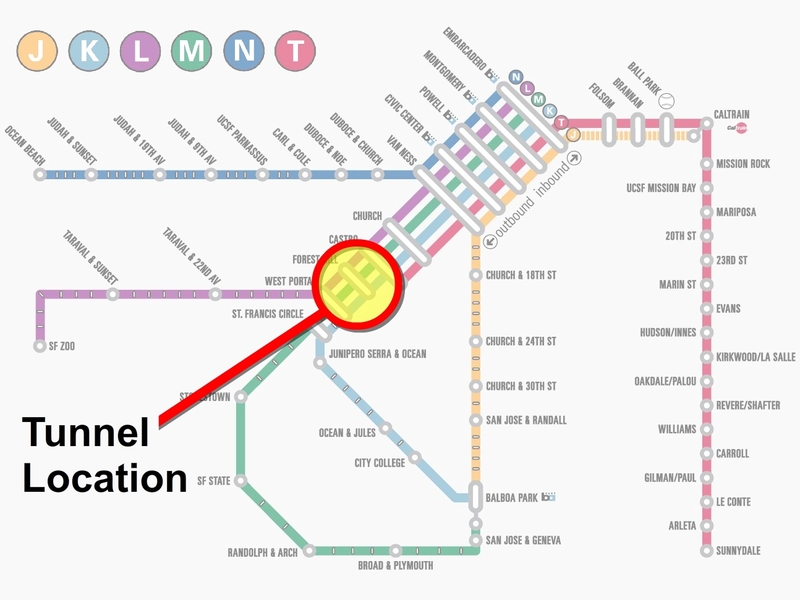 During the closures, Muni encourages inbound riders on the K-Ingleside line to transfer to BART at Balboa Park Station. Work to improve safety, stability and speed along the century-old tunnel has been delayed repeatedly. A winter 2016 start date waspushed to April 2017, but before work could commence, Muni canceled the vendor's contract, citing the need for "additional technical analysis." 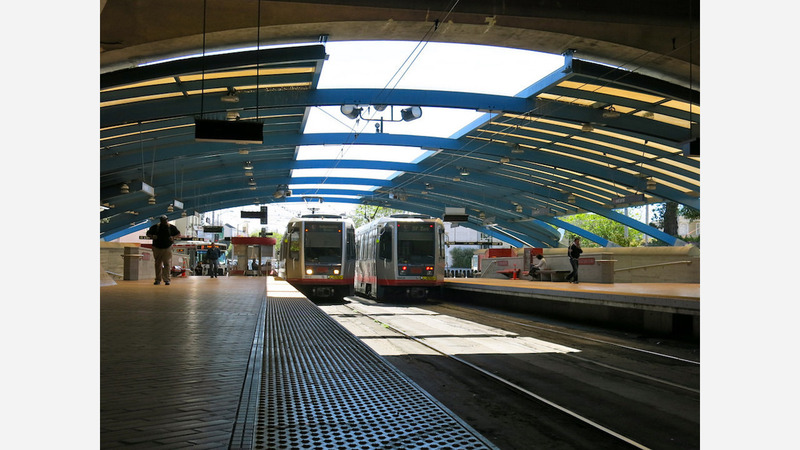 This summer, Muni will close the tunnel for up to two months to perform seismic upgrades, improve drainage and replace existing tracks so it can lift a speed restriction that's currently in place. Additionally, workers will replace track-switching equipment, add new crossover tracks, improve structural supports between West Portal and Forest Hill, and improve the fire-suppression system at West Portal station. 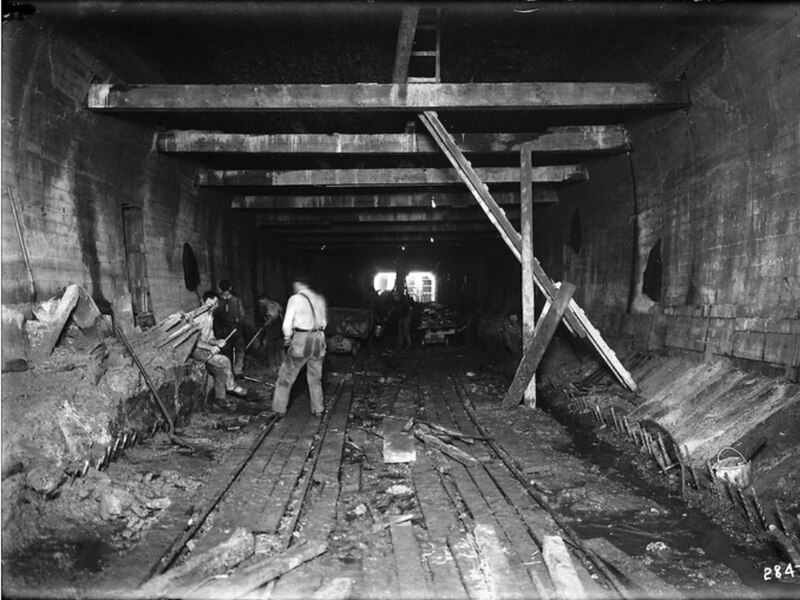 Opened for service in February 1918, the 2.27-mile tunnel was the longest of its kind when it was completed. Today, it carries more than 80,000 riders daily, according to SFMTA. The tunnel initially connected West Portal and the since-abandoned Eureka Valley station on Castro Street, but after the Muni Metro created Castro Station approximately 100 yards to the west, Eureka Valley closed in 1972 and became the Bay Area's only ghost station.